Name: VBA Welcome Gift Bags for New Residents-Contribute Each Month! NEW-RESIDENT WELCOME GIFT BAG EACH MONTH! 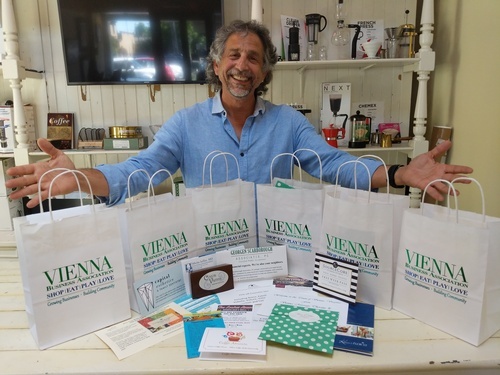 Each month the VBA will distribute the VBA WELCOME BAG to the new residents in the Town of Vienna! All VBA members in good standing (dues paid up to date) may sign-up to contribute to the VBA Welcome Bag every month, every other month, or once a year! Do what works best for you and your business! Registration: Sign up on line by the 3rd Friday of each month that you wish to contribute to the bag. Number of items: We will deliver 40 bags each month, so 40 identical items are required. Item Drop off Deadline: All items must be delivered by 6pm on the 3rd Friday of every month. Must not exceed 8.5" x 11"
Make sure the expiration date is at least 6 months out. 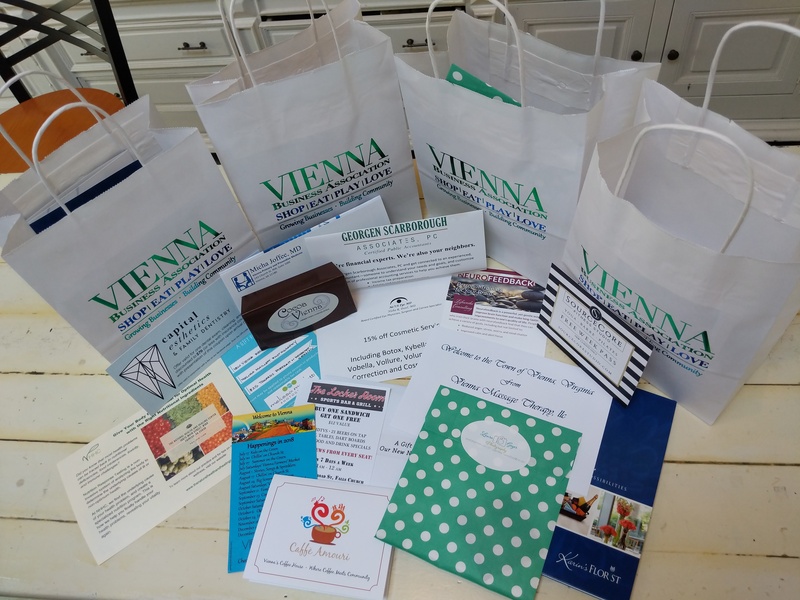 This is an amazing way for VBA members to market to the new Vienna Residents each month! Don't wait for the new families to find you..
VBA BUSINESSES FIND THE NEW FAMILIES FIRST! Register & Drop off each month by 6pm on the 3rd Friday of each month. Free for all VBA Members!